Slow motion clip of a Chickadee landing in bird feeder, grabbing a seed and flying away. During a light snowfall. hd00:07Chickadee landing in bird feeder, grabbing a large seed and flying away. During a light snowfall. hd00:06Slow motion clip of a Chickadee landing in bird feeder, grabbing a few seeds and flying away. During a light snowfall. 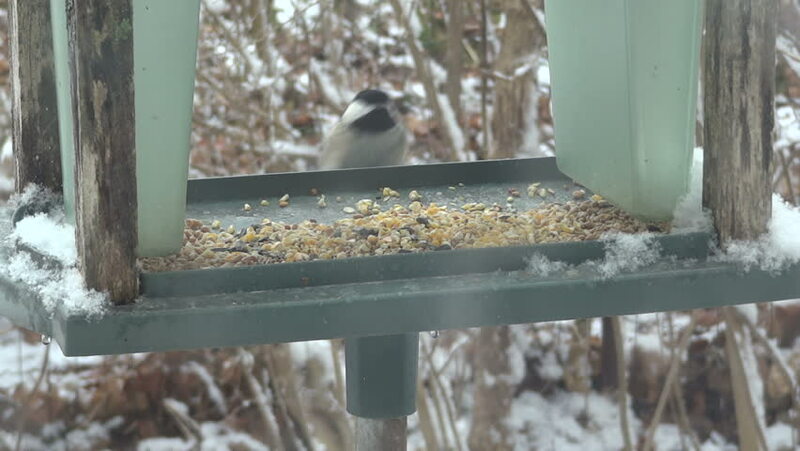 hd00:10Chickadee landing in bird feeder, grabbing a few seeds and jumping around. During a light snowfall.